Former Interior Minister Mr Peter Dutton claimed he was ready for another leadership challenge against current Prime Minister Mr Malcolm Turnbull who seems to be captaining a sinking ship now that it has become known that 10 cabinet ministers offered their resignation in the wake of his failed bid to implement a climate change policy and his worsening poll numbers. Mr Turnbull only accepted one of those resignation offers, that of Mr Dutton. Related coverage: <a href="https://thegoldwater.com/news/33807-Australia-Prime-Minister-Turnbull-s-Popularity-Sinks-To-Lows#33824">Australia - Prime Minister Turnbull’s popularity sinks to new low</a>. Australia needs to hold elections before May of next year and the liberal party looks like a sitting duck at this point. Local press is talking of early elections already with many on social media stating they will vote either for the extreme left or extreme right this time around as they are sick and tired of the traditional parties. Politics in Australia looks like a mockery now that three of the Prime Ministers during their first term look to be ousted by members of their own party. The ‘Caesarian political backstabbing’ seems to be the golden rule for PM’s down under as Australia looks to be heading for its seventh Prime Minister in 11 years. Related coverage: <a href="https://thegoldwater.com/news/34620-Australia-Turnbull-Does-A-180-On-Climate-Change-Sees-Off-Leadership-Bid-Video">Australia - Turnbull does a 180 on climate change and sees off leadership bid (Video)</a>. Now on the backbench, Mr Dutton claimed he would call for a second leadership vote: "You do not go into a ballot believing that you can lose and if I believe that a majority of colleagues support me then I would consider my position." 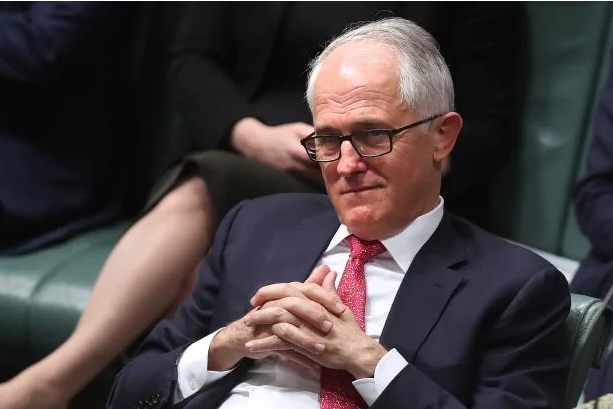 Meanwhile, Mr Turnbull said: "What I'm endeavouring to do is to obviously ensure that the party is stable, to maintain the stability of the government of Australia."